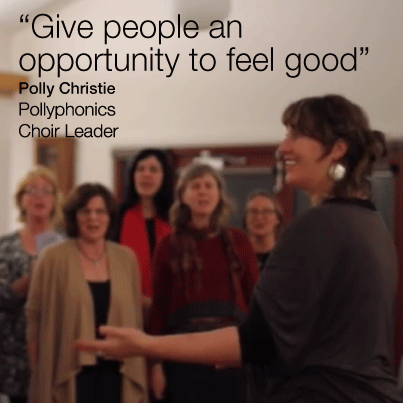 Polly has shared this video on our CMVic facebook page and we thought it was a fantastic example of how powerful music can be in connecting with others. Runs for 6 minutes and offers a great insight into the many benefits of community music from both a leader’s and participant’s perspectives. Here’s a little of what’s covered. Documentary created by Rebecca Fitzgibbon for her music course at Northern Melbourne, Institute of Technology in Melbourne, Australia.